DANBURY, CT--(Marketwired - Feb 25, 2014) - Millions of Americans will participate in events across the country on February 28 as part of the 6th annual U.S. Rare Disease Day. These activities are part of an international observance that focuses attention on the challenges and needs of an estimated 300 to 350 million patients worldwide afflicted with rare diseases. The National Organization for Rare Disorders (NORD), and its more than 200 member organizations, helps those affected by rare diseases find information and connect with one another. NORD is also committed to helping patients access diagnostics and therapies that can extend and improve their lives. As the official U.S. sponsor of Rare Disease Day, NORD provides guidance and support to individuals and groups that are organizing awareness activities. Although each rare disease affects fewer than 200,000 Americans, there are nearly 7,000 such diseases. Most of these conditions are severe; many are life-threatening. Nearly one in 10 Americans is affected by a rare disease, two-thirds of whom are children. In fact, more people are affected by rare diseases than common conditions, such as diabetes or asthma. "Everyone knows someone with a rare disease," says Peter L. Saltonstall, President and CEO of NORD. "Many rare diseases are chronic and life-threatening, but there are no approved treatment options for about 95 percent of these conditions. We hope to get more people and policy-makers involved in making sure those with rare diseases receive the care and support they deserve." 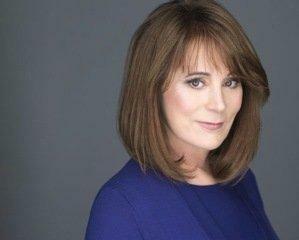 Television personality Patricia Richardson, best known for her role as Jill Taylor on Home Improvement, is lending her support as spokesperson for Rare Disease Day in the U.S. because she understands how difficult and overwhelming it can be for those affected. Her father, Lawrence Richardson, a former navy fighter and test pilot, struggled with and ultimately died from such a disease, progressive supranuclear palsy (PSP). "I am inspired by NORD and its member organizations who are dedicated to the search for treatments and cures. My family and I understand first-hand the impact of a rare disease, and I can personally attest to the importance of these wonderful patient organizations," said Richardson. "I encourage everyone -- whether you are directly affected or not -- to join together on this important day to recognize the needs and challenges faced by the rare disease community. While alone each of these diseases affects a small number of people, when we come together we can make a difference." The worldwide theme of Rare Disease Day this year is "Join Together for Better Care." Almost every state in the U.S. will have Rare Disease Day activities, including a number at state capitols as part of NORD's campaign to raise awareness of rare diseases among state legislators. "It's important for these officials to understand what it's like to live with a rare disease because their decisions regarding issues such as newborn screening and medical foods can have a tremendous impact on the lives of rare disease patients and their families," said Saltonstall. To learn more about how you can participate in Rare Disease Day events in your state, visit www.RareDiseaseDay.US. You also can show your support for Rare Disease Day by liking its Facebook page or following on Twitter at @RareDayUS. This year, Rare Disease Day will be observed in more than 80 nations. On this day, patients, researchers, and others will post photos, videos and blogs online. Special events will take place at hospitals, universities, state capitols and other venues across the U.S. The National Organization for Rare Disorders (NORD) hosts a national website at www.RareDiseaseDay.US where all events are listed. NORD's European partner, EURORDIS (the European Organisation for Rare Diseases), hosts a global website at www.RareDiseaseDay.org. Founded in 1983, NORD is a non-profit organization providing programs of education, advocacy, research, and patient services including patient assistance programs. Follow NORD at www.rarediseases.org, on Facebook and on Twitter @rarediseases.